The book is personal to me. I lived there, and then. Until that September of 1952, Luke Chandler had never kept a secret or told a single lie. But in the long, hot summer of his seventh year, two groups of migrant workers—and two very dangerous men—came through the Arkansas Delta to work the Chandler cotton farm. And suddenly mysteries are flooding Luke’s world. A brutal murder leaves the town seething in gossip and suspicion. A beautiful young woman ignites forbidden passions. A fatherless baby is born. And someone has begun furtively painting the bare clapboards of the Chandler farmhouse, slowly, painstakingly, bathing the run-down structure in gleaming white. And as young Luke watches the world around him, he unravels secrets that could shatter lives—and change his family and his town forever. 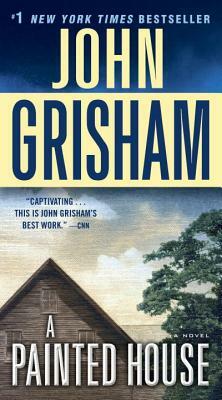 John Grisham is the author of twenty-three novels, including, most recently, The Litigators; one work of nonfiction, a collection of stories, and a novel for young readers. He is the Chairman of the Board of Directors of the Mississippi Innocence Project at the University of Mississippi School of Law. He lives in Virginia and Mississippi.